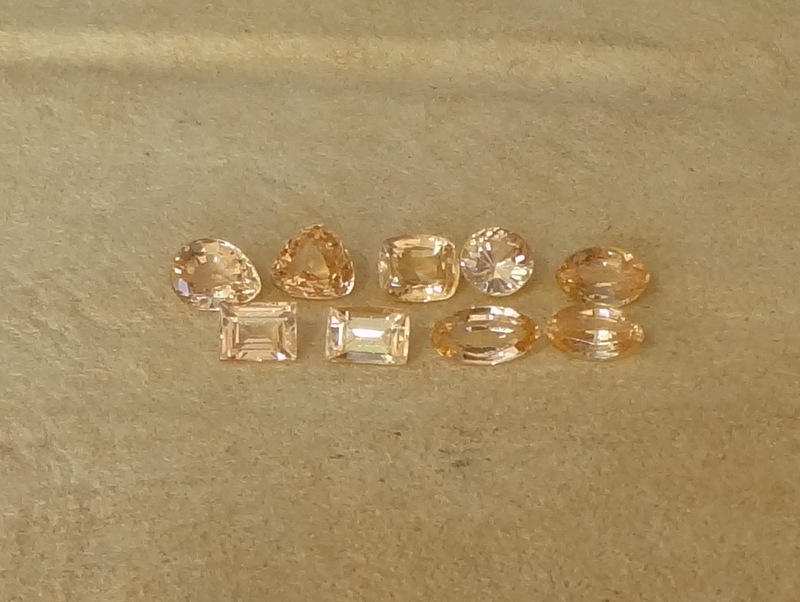 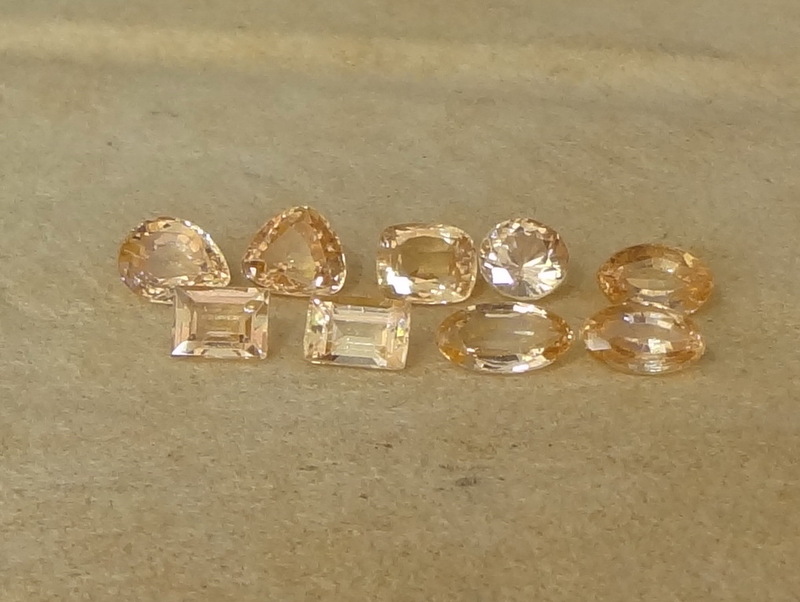 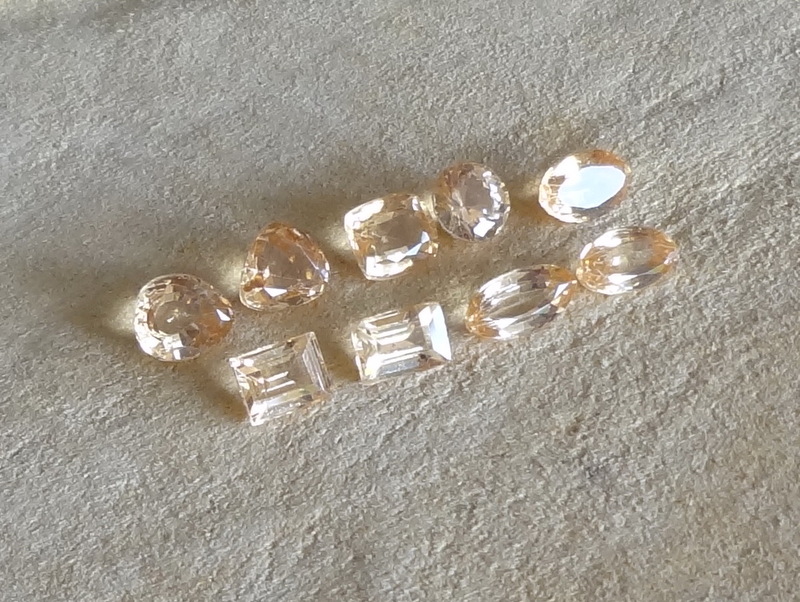 Small lot of various cuts of Hessonite Garnet, totalling 8.8ct; this small wholesale lot displays very warm shades of salmon-orange found in the Ceylon Hessonite with the microscopic (x75) Calcite inclusions typical of Sri Lanka origin. 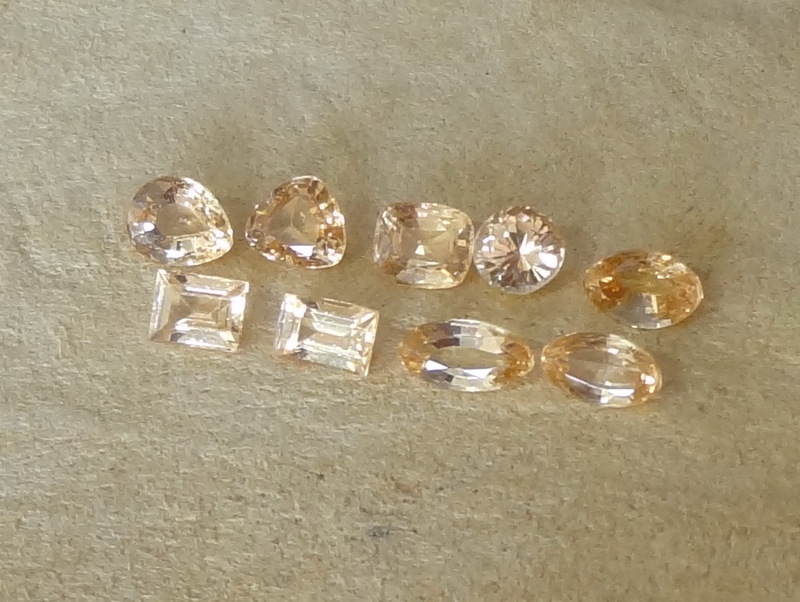 several pairs can be made of this batch. 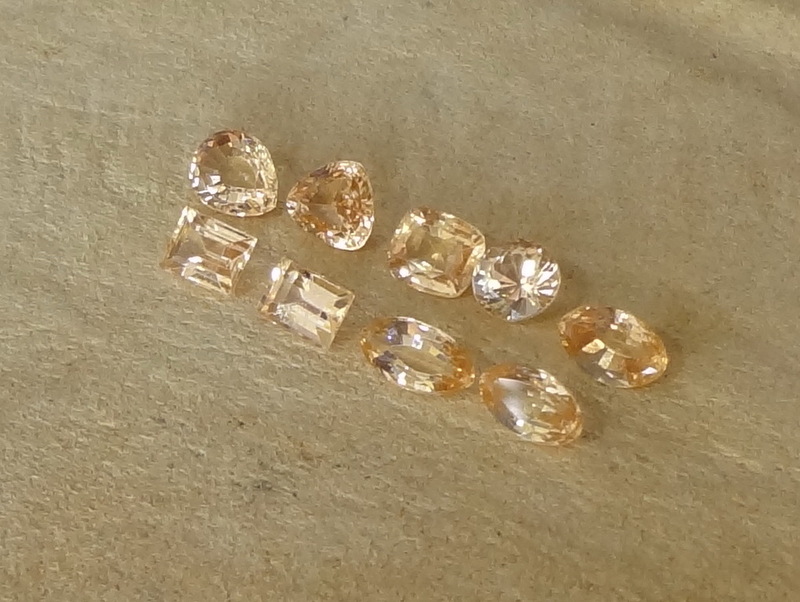 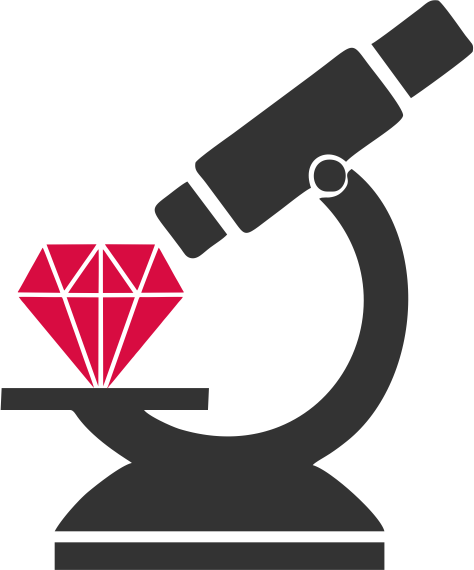 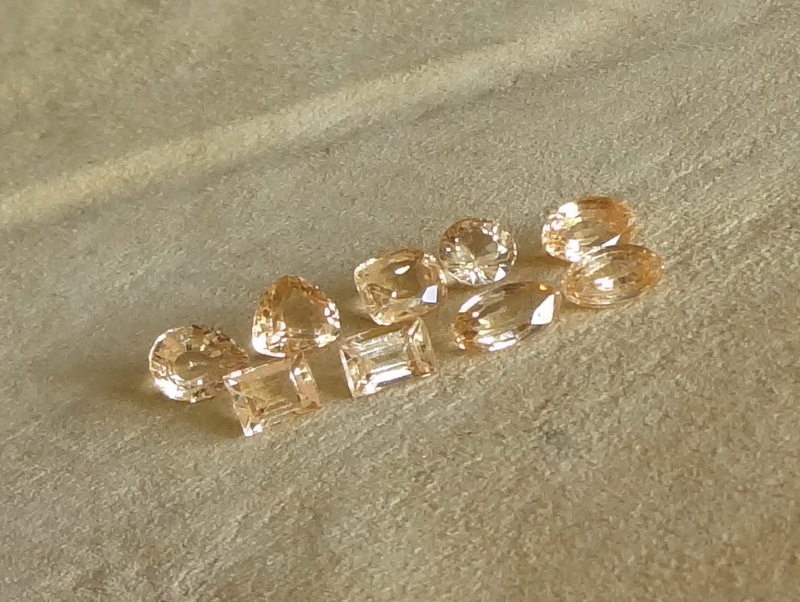 Most gems are eye clean but a couple have visible inclusions.